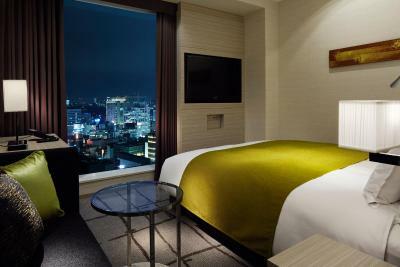 Lock in a great price for Mitsui Garden Hotel Ginza Premier - rated 8.8 by recent guests. Although small, the quality of the room was excellent, because it was so cleverly designed. And the view from our bed on the 19th floor was stunning. The location, near Shimbashi JR station, is perfect. Location is superb for access to the JR Yamanote line and Metro. Also on the doorstep for Ginza. Loads of restaurants from high end in Ginza to more affordable along Ginza corridor and Shimbashi Izakaya. Views over Rainbow bridge and Hamarikyu Goen are lovely. On last day view from reception you could see Fuji san! Views from the room. Service was great. Location ideal for ginza area and Jr yamanote line and metro. The young lady on reception was fantastically helpful (despite my error with the booking) and managed to ensure our stay was stress free. 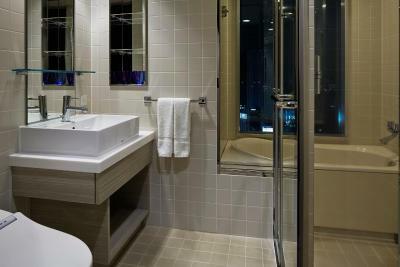 The hotel room provides truly stunning views out over Tokyo, with the bathtub by the window being the main attraction. If you’re in Tokyo - stay here! Location was great with fantastic views, easy access to Ginza shopping, subway and some good restaurants. Good breakfast selection to start the day. Space is a premium in Tokyo so small room is expected.... it was perfect for our needs & well serviced. Aircon air flow is too little if there is ceiling fan would be better for more air circulation. Location is perfect, view from the windows was fantastic. Located above the 16th floor, all rooms are fitted with a flat-screen TV on the wall, a fridge and an air purifier/humidifier. Guests can make coffee and tea, enjoy a soak in the private bath, or watch one of the video-on-demand movies available for purchase. Tsukiji Fish Market is just an 8-minute walk from Ginza Premier Mitsui Garden Hotel, while Hama Rikyu Park is a 10-minute walk away. 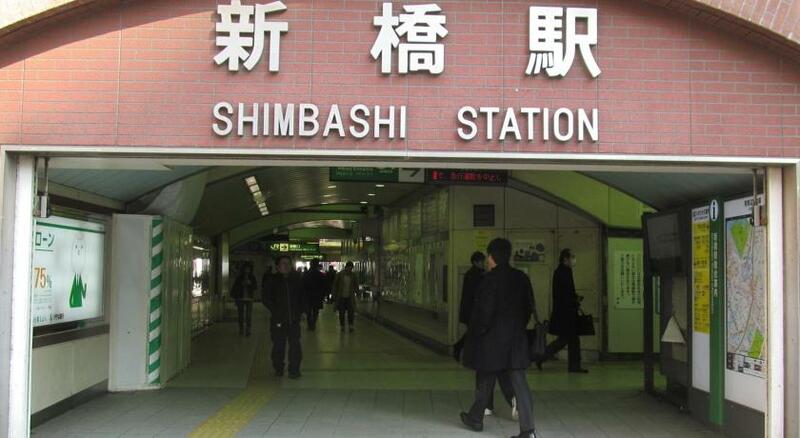 Nearby Shinbashi Station boasts a direct 40-minute train connection to Haneda Airport. 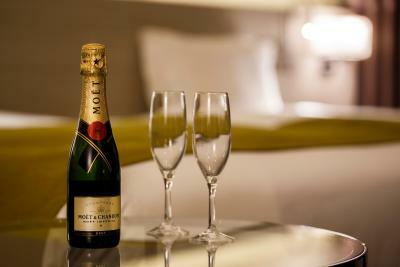 Massage services can be arranged 17:30-02:00 by calling the 24-hour front desk, which can store luggage for guests. Laundry and dry cleaning services are also offered. Guests can use internet PCs at the lobby for free. A buffet breakfast is on offer at Sky restaurant from 06:30-10:00 (no entry after 09:30), for a fee, and the restaurant also serves lunch and dinner. Drinks and light refreshments can be enjoyed at Karin Bar. 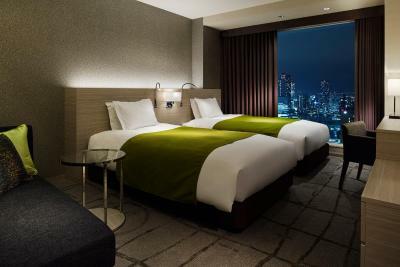 Mitsui Garden Hotel Ginza Premier has been welcoming Booking.com guests since 22 Sept 2010. 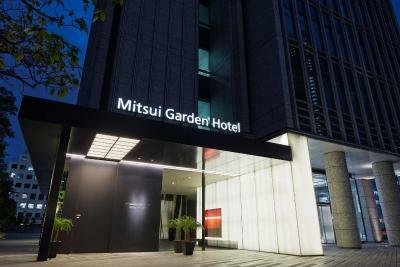 When would you like to stay at Mitsui Garden Hotel Ginza Premier? Located above 16th floor, this larger room is fitted with a flat-screen TV on the wall, a fridge and an air purifier/humidifier. A work desk is also provided. Guests can make coffee and tea, enjoy a soak in the private bath, or watch one of the video-on-demand movies available for purchase. Public parking is possible on site (reservation is not possible) and costs JPY 1800 per day. 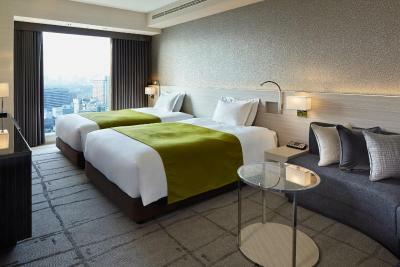 Located above 16th floor, this room is fitted with a flat-screen TV on the wall, a fridge and an air purifier/humidifier. A work desk is also provided. Guests can make coffee and tea, enjoy a soak in the private bath, or watch one of the video-on-demand movies available for purchase. Features a semi-double bed (130 cm wide). Located above 16th floor, this larger room is fitted with a flat-screen TV on the wall, a fridge and an air purifier/humidifier. A work desk is also provided. Guests can make coffee and tea, enjoy a soak in the private bath, or watch one of the video-on-demand movies available for purchase. 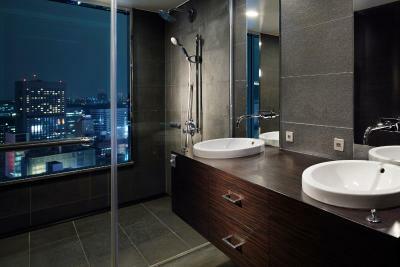 Beautiful night city views can be enjoyed from the bathroom. This twin/double room features a electric kettle, seating area and view. This twin/double room has a seating area, electric kettle and sofa. This double room features a sofa, electric kettle and seating area. 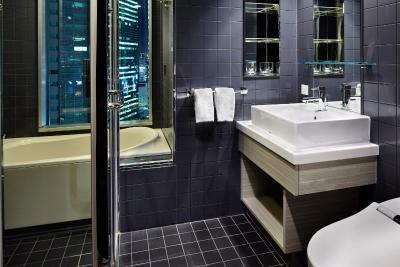 House rules Mitsui Garden Hotel Ginza Premier takes special requests - add in the next step! Mitsui Garden Hotel Ginza Premier accepts these cards and reserves the right to temporarily hold an amount prior to arrival. The height limit for parking is 155 cm. Parking is available on a first-come first-serve basis. If on-site parking is full, guests must park at a nearby facility. Additional charges apply. Check-in is from 15:00. For an early check-in, please make a request in advance. We did not like that housekeeping peeked into the closet and went through our clothes to find the two bath robes to replace them with fresh ones. Privacy should be respected. One advice: place some hooks in the hall or the bathroom. Price is not cheap. No onsen in hotel. No english channels apart from BBC and no USB ports to connect to TV. Rooms are not at all spacious. Room and storage space limited. No English channels on tv. Expensive. No onsen. My toilet in room 1905 occasionally would not flush. I wonder if I needed to lower the lid before pressing the button? Excellent location, my go-to hotel when I visit Tokyo. Concierge doesn’t answer you that much..
No gym in the hotel other than that everything is awesome. Location is in an excellent and convenient area, just 7-8 minutes leisure walk to Shimbashi station and from there you can take a train to anywhere in Tokyo and beyond. Staff is just so helpful and polite. Housekeeping staff does an excellent job keeping my rooms clean each day. Also there is a convenience store beside the hotel as well as within 1 block so one cannot go hungry or have a cup of hot coffee. We took from the booking the option that looks very attractive, we find out that the description in the booking was very different than what we got, the double bed for couple is only 130cm width, it's much smaller than normal and they didn't mention it in the site, the reception was aggressive and when we asked to falk with booking service, they didn't help us to do so. At the end we stayed but it was very very un comfort.